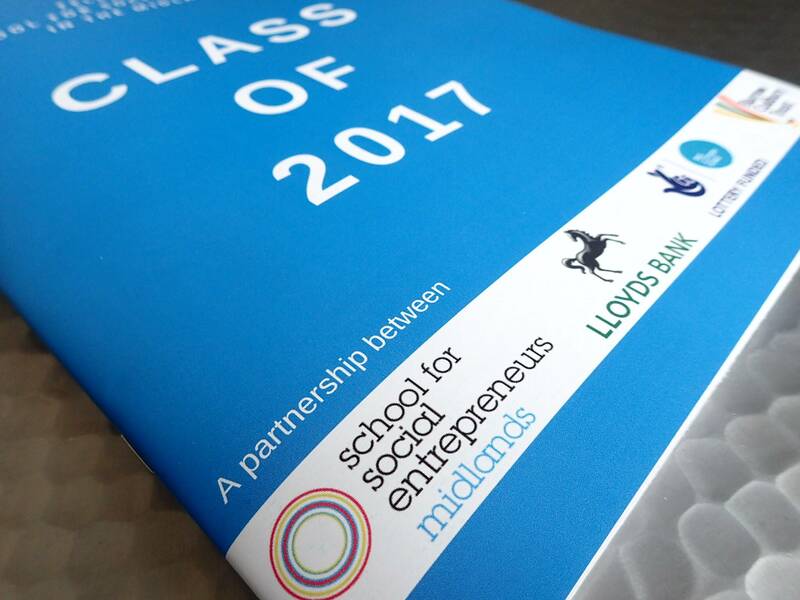 Around a year ago I secured a place on the prestigious School of Social Enterprise Start-Up Programme, on one of the SSE Midlands cohorts based in Birmingham. 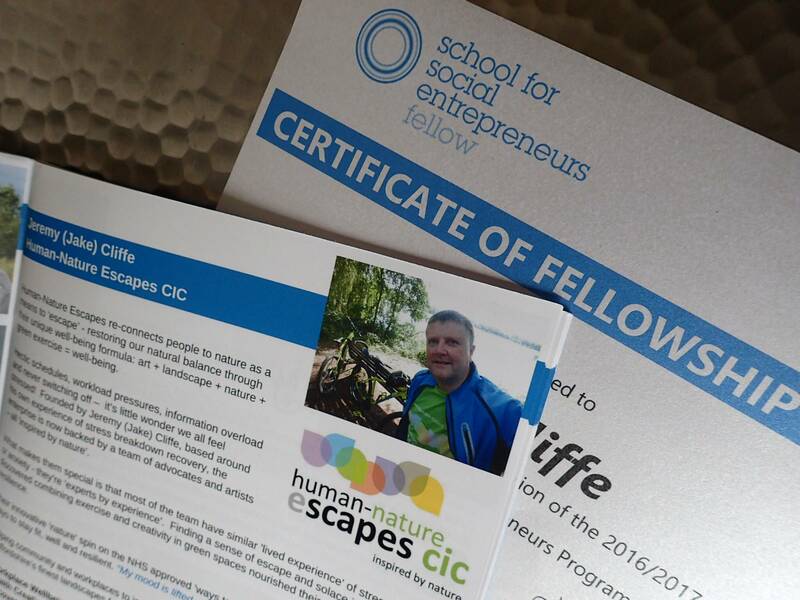 It was my first real breakthrough on my journey to creating our Social Enterprise Human-Nature Escapes CIC. Our place on the course represented the first funding our project had secured. 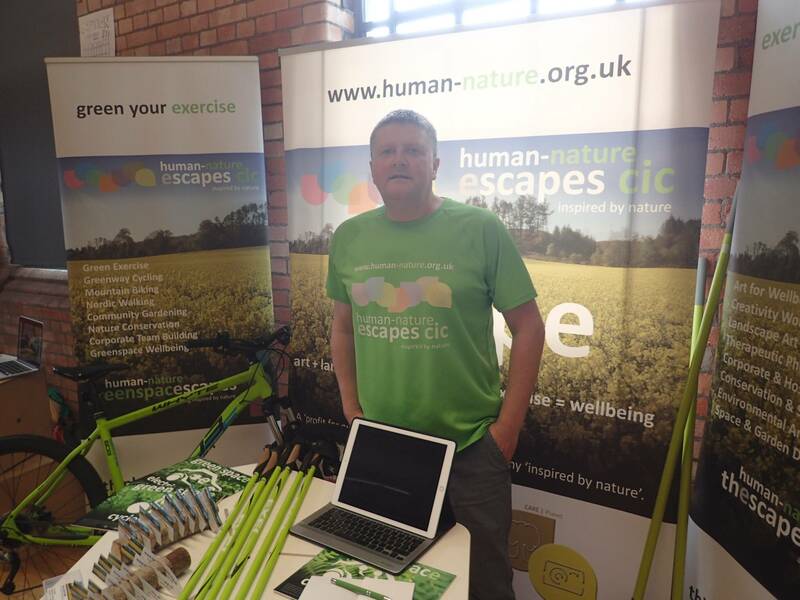 In many respects SSE were the very first organisation to show some faith in me – and my social enterprise idea. That’s something that I’ll always be grateful to them for. 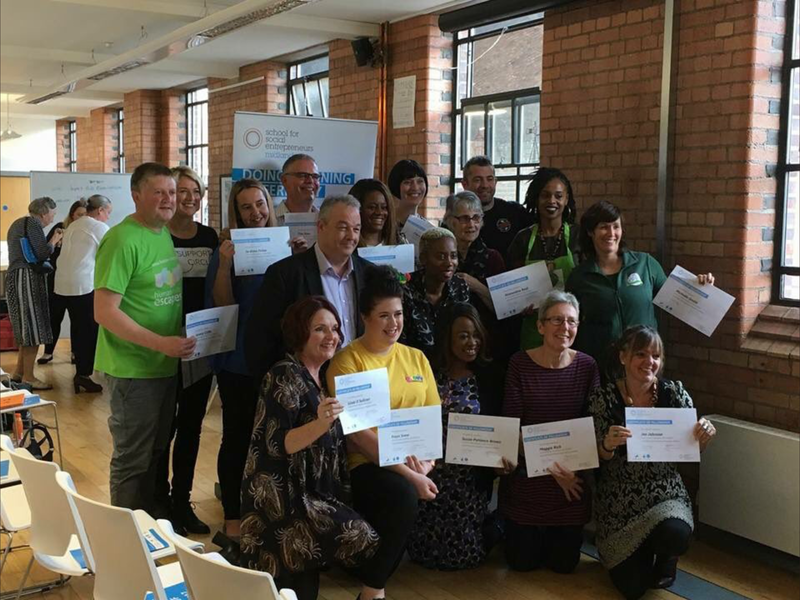 Yesterday, saw us come to the end of that programme, having enjoyed not only the benefit of £4,000 funding to buy essential equipment for our social enterprise start-up, but a fantastic and inspiring formal learning journey, shared alongside my fellow peers, all working towards the success of our own social enterprise projects. Yesterday’s graduation was a celebration of achievement and of success – but an ideal time to look back and reflect on the solid progress we’ve all made on our personal journeys to becoming social entrepreneurs. Not only did we showcase our own pop-up exhibition stands for our enterprises, we all did a ‘pitch’ presentation. Not only presenting to each other but also to specially invited guests and potential funders too. It was obviously a bit scary, but everyone did really well and perhaps a good indication on how we’ve all grown over recent months. I was particularly pleased to bring along my own guests – Alex from our subsequent funders (UnLtd), and especially Nick, one of our original volunteers and now a strong advocate for what we do (and part of the team) – and who has very much shared my personal journey with me. As I joined the SSE programme all those months ago, my wife reminded me just how far I’d come on my personal journey, from a work-related stress breakdown some years earlier. She reminded me that not so long back I hadn’t even got the confidence (or mental emotional strength) to get into a work colleague’s car, to be picked up from my home and share a journey to work – such was the level of my stress/anxiety and depression. She contrasted this to the fact that I now had gained the confidence, and self-belief, to drive on my own down the motorway to the centre of Birmingham, to begin the start of a new career path, with individuals I’d never even met before. Now one year on with Fellows Certificate in hand, I feel I’ve learned so much through what SSE call ‘doing learning differently’, but also through meeting and sharing experiences with such wonderful and inspiring people! Each of us on that programme has had an equally compelling journey. There because something in our lives occurred to make us choose a different path, some kind of ‘lived experience’ that made us realise that we had to do something more to effect a social change, to do our own bit to right a social injustice or wrong – or perhaps just to care or be compassionate enough to make a difference, or to make a change for the better within our own community. Right from day one the word ‘compassion’ came up time and again. I guess that’s the over-riding trait (and quality) of someone inspired enough to change or fashion their whole career direction around a desire to do more, to create a change, or defend a social cause. Over the months we’ve shared our successes, and we’ve cried tears. Particularly in sessions like ‘Action Learning Sets’ where we’ve constructively asked each other challenging but open questions, which helped us tease out what’s been stopping or blocking us – helping us find our own answers, based on our own intuition and knowledge of what’s right for our own project. Some have clearly made more progress than others and well on their way to securing a thriving and sustainable business. Some have battled through personal struggles, financially, emotionally and even physically. But thankfully practically everyone who started that programme have won though and achieved great things. We’ve come through as stronger people, as collaborators, but above all as friends – and who knows perhaps even more compassionate (but perhaps a bit more business astute) than before. Historically, before my illness, I’d enjoyed a successful career, but never in my whole career I have worked alongside such inspiring people. The progress I’ve made over the last year, with the great support from the SSE programme, has taken my project from so much more than just ‘one man and his dog’ – to a viable business proposition, now supported by a really great team of advocates and artists, and a solid platform on which to build. SSE Graduation | Thanks SSE! I’d like to take this opportunity to thank SSE Midlands (especially Charles and justice) and SSE sponsors Big Lottery and Lloyd’s Bank for my time on the programme and their faith in me. I’d also like to thank Vanessa Hamilton from AYCE Foundation, a Fellow from an earlier programme, who pointed me to the SSE programme and coached me through my original application. Yesterday on our stand, it was also an honour to meet a Fellow from an earlier programme – and someone from this next year’s cohort, with whom we may be able to collaborate. Good to see how we’re following in each other’s footsteps and making ever greater progress in growing the social enterprise economy and impact. All in all yesterday was a very successful day and a fitting end to my time on a ‘class’ programme – the SSE Class of 2017.